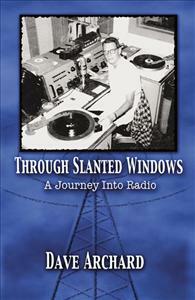 As early as nine, the author has a passion to be a radio announcer. His memoir tells of challenges he must overcome to achieve his goal from the Golden Age of Radio into the first decade of Rock ‘n’ Roll. A nine year old boy laughs and shivers under the covers as funnymen and murders stream into his bedroom at night. A flame ignites in him to fly on the air, too. As he grows up, his passion to be on the radio is challenged by family loss and missed opportunities. Readers charting a course to a dream will learn of the obstacles in the path to his goal. Nostalgia buffs will find the memoir abundant with personal recollections of the waning Golden Age of Radio and the first decade of Rock ‘n’ Roll.